Check out our new release 'Something Good' available at CD Baby An eclectic mix of progressive soul, funk, jazz, rock, and four to the floor dance music reminiscent of the golden days of soul and funk. Digital Downloads from our Cd 'Something Good ' are available at the Apple iTunes Store. 'Sweet Like Honey' can be purchased as a digital download at the Apple iTunes Store. 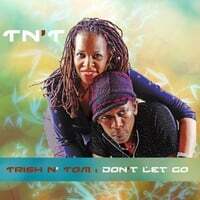 See live video clips of TN'T (Trish N Tom) @ tritom music TV channel YouTube. Edited, Unedited, Uncut, whatever ... The Real!!!! Listen to music from our new cd "Don't Let Go" at soundcloud. TN'T (Trish n Tom) EPK, Feel free to view our EPK and forward to anyone interested in booking TN'T for live performances. Aejay Da Muzik Hunta blogs on music released by independent recording artists. This is an eclectic radio station featuring all kinds of music. It broadcast out of New York City and is headed by Marko Noble. JazzySoul Radio Were keeping it Soulful 24 hours per day, 7 days per week, 365 days per year.Jazzy Soul Radio is broadcasting from Melbourne, Austrlaia and Botswana, Africa . JazzySoul Radio is a fully licenced radio station . Interviews, Independent Soul News, Reviews, Events, Etc. Tee Watts Tues. and Thurs. 2pm-4pm west coast time, 5pm-7pm east coast time. Internet Radio ... Funk and soul, old and new. project entitled "Life This Time".